How do we maintain a free society? Is it bred in the bone, or is it up for grabs? Hobbes, on the other hand, described life as, “solitary, nasty, brutish and short.” Having witnessed the English Civil War, his outlook was both Calvinistic and pessimistic. 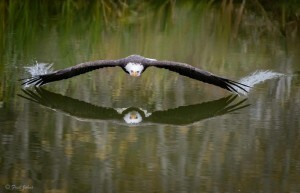 I am not blind to the fact self-interest drives most decisions. When Jane Mayer described the heart of the ideology of the far right, she expressed the beliefs of some that there should be no limit as to what people can acquire and keep. Many would say that is what made America. Ronald Regan, running for President in 1980 asked, “What is wrong with letting people keep their own money?” It is a good question. It seems like every democracy has been in this argument forever. Remember the heated exchanges between Archie Bunker and the Meathead we laughed at on All in the Family? We all have friends who are on opposite sides, and the day we can no longer have these lively debates would be a very sad day indeed. It is completely understandable that if you amassed a great fortune, you would naturally feel you had something significant to contribute to the discourse. You would also feel that you lived in a great country that made it all possible, and that you wouldn’t want anything to change. You would want to find politicians who would do your bidding when you came up against roadblocks. You would pick up the phone and demand action. 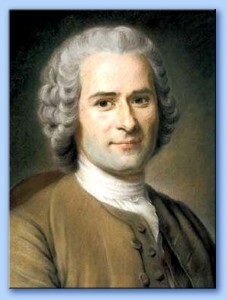 You may even believe that you do not have any responsibility to your fellow man. 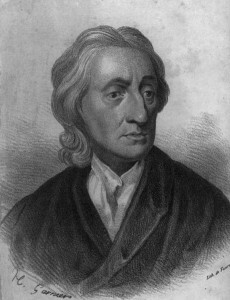 You may feel as John Locke stated that the only purpose of government is the defense of property. You may choose to devote considerable time and resources to furthering these views. Would that constitute undue influence, or would it be contributing to the discourse? That is that is the question. There is, however, one flaw in this thinking. Hammered into my head in my teens, by the Headmistress of my school was this universal truth from the Bible: “To whom much has been given, much will be required.” Fans of Downton Abbey will remember that it was played out in nearly every episode. Nobless Oblige. If fortune has smiled on you, it is your duty to make your life about good works. One can see philanthropy everywhere, and one can point to all the generosity displayed by the wealthy. Some feel there should be no taxes at all, and if let alone, people would naturally give aid where it is needed. The only flaw I see in that philosophy is that it is too willy-nilly. It is not organized. When George H. W. Bush referred to “a thousand points of light,” in a speech written for him by Peggy Noonan, it sounded well and good. A little here and a little there does not build roads and bridges. So we aught to question the belief that we would be better off without any government at all. Too much would not be good either because I still believe that I was born free. Out here on Windy Bay, in the beautiful state of Idaho, watching the great birds return from the south, I see that life is primarily about nest building and fishing. Maybe I can take my “hue and color” from them. This entry was posted in Non-fiction, Uncategorized and tagged Hobbes, Idaho, Jane Mayer, Locke Rousseau, Political Science on March 30, 2016 by Elizabeth Smythe Brinton. There has been a movement afoot in literature to focus on one commodity, and make a book of it. People have written about salt, wine, and chocolate. I wondered if anyone has written about what the great state of Idaho is known for, namely, the potato. How did this come to pass? How is it that when a person from Idaho travels, he or she is inevitably asked about potatoes. It turns out that Idaho was a trailblazer in this regard when in 1937 the Idaho Potato Commission was founded. This body, funded by a tax paid by potato farmers, set out to advertise on radio and later television, to create a brand identity from a single crop. With a seal fashioned, the customers were encouraged to look for that mark when purchasing what was to become our famous potatoes. Lots of other states grow the crop, but the affection and identity formed by the commission created a market for thirteen billion pounds of spuds, one- third of all those sold in the United States. 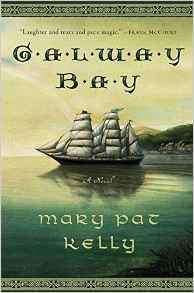 On a past St. Patrick’s Day, a dear friend by the name of Mary, told me about a book she had just read by Mary Pat Kelly. Entitled, Galway Bay, the novel is an actual oral history passed down from one generation to the next. Told primarily through the women, it is the tale of one immigrant family and their travails from Ireland to Chicago. While it is not about the potato famine, called An Gorda Mor in Gaelic, it is the great catalyst of the tale. “They tried to kill us, but we didn’t die.” The thread of this story, handed down through the ages, is one of incredible hardship and then survival. When I was in school in Toronto, I recall the day the teacher told us that the famine was caused by a lazy population who stupidly lived on one crop because they could not be bothered to grow anything else. “When that crop suffered a blight they starved,” she told us, with the implication that they should have known better hanging in the air. I remember looking out the window, trying to sift through her facts with what I knew about my own family, all of whom are avid gardeners and farmers. At home, I asked if the story were true and heard that food had been exported to England all through those dark days. Imagine having to take the harvest to market, load a ship and return home to a house of desperate want. As the “croppies” were only given a scant bit of land to cultivate for private use, the “pratties” gave the highest yield and provided the greatest nourishment. These are the facts: 750,000 were confirmed dead of starvation. Bearing in mind that many more died in the coffin ships landing in Montreal and Boston, this would be a severe underestimation. Without the hospitals, or the manpower necessary to deal with the influx, the sick passengers arriving in Quebec were put on an island in the St. Lawrence and left exposed to the elements. Promised, land, cash and food upon arrival, they arrived to find nothing and no way home. The bit of land they left behind on the dear, old sod had been exchanged for the price of their passage. Cecil Woodham Smith reported that during the famine years, 257,000 sheep were exported to England from lands held by absentee landlords. 480,827 swine went over as well as 186,483 head of cattle. Not even mentioning other crops, the picture is clear. There is a happy ending to this tale. The Irish flourished in both the United States and Canada. Reading Galway Bay prompted me to look up the history of my maternal grandmother, Rose Cahill Gaudette. One of ten children in her family, I learned that her mother was the oldest in a family of ten. Examining records found on Ancestry.com, my blood ran cold when I saw the date. In 1848, Thomas Cahill arrived in Montreal. Famine. Coffin ship. Most of the passengers died, and their bodies were tossed over. Of the living, it was decided to send the Irish on a barge to Toronto. The sun blazed and the fair skins burned. Once again they were placed on an island off shore. Yet the good people of the city rowed out in small boats and volunteered to tend the sick, risking their own lives in the process. The Cahills made their way to the gorgeous Ottawa valley, carved a life in the wilderness, and flourished. From one noun a great story may unfold. This entry was posted in fiction, Historical Fiction and tagged Idaho Toronto, Montreal, potatoes on March 16, 2016 by Elizabeth Smythe Brinton.